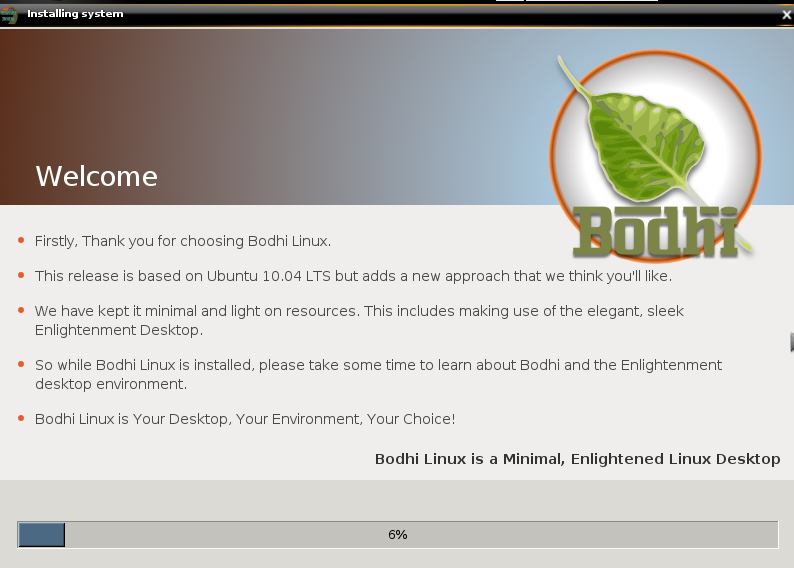 Bodhi Linux hits RC: adds netbook interface, install slideshow, more - OMG! Ubuntu! If you’ve yet to be bitten by charms of Bodhi Linux then now’s the perfect time to try it out: it’s just hit release candidate status. 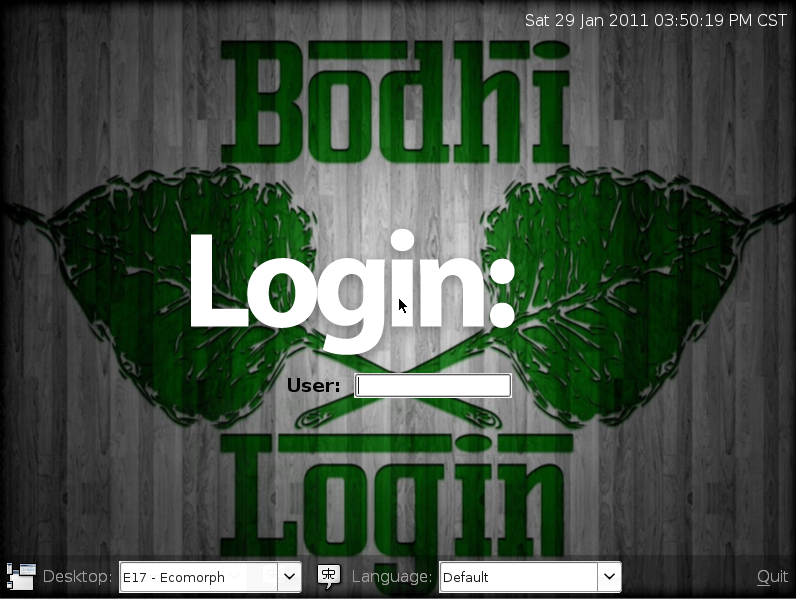 Bodhi Linux is a lightweight Linux distribution using the Enlightenment desktop environment built off of Ubuntu 10.04. We’ve covered the development of Bodhi the last few months, so for fear of retyping the same spiel again and again I’m just going to cover what’s new in this release candidate. 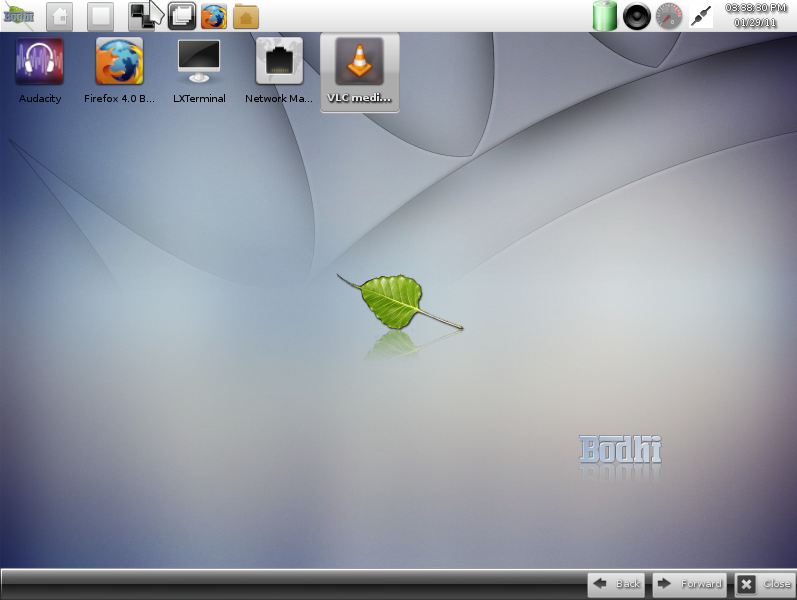 Hark back to Ubuntu 9.10 with Bodhi’s new installer slideshow! Wry quips aside the slideshow orientation is a valuable aid for users new to both Bodhi and the E17 desktop. 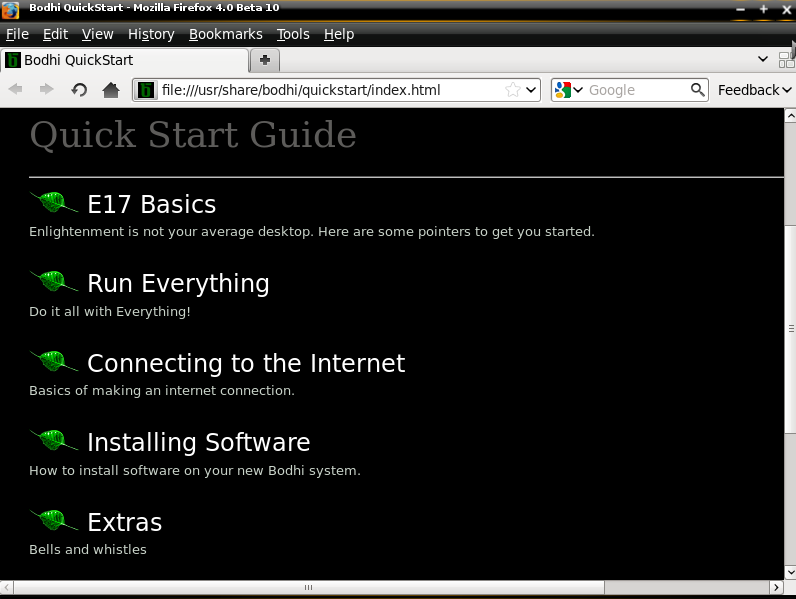 Firefox 4 has a quick-start guide set as the home page, perfect for for E17 newbies. More details on the release candidate can be found @ jeffhoogland.blogspot.com.